Synopsis: (From Amazon) The highly acclaimed first book of a fantasy adventure series set in a mysterious forest, starring a daring new hero. “Readers will thrill to journey with Jinx” (SLJ, starred review), a wizard’s apprentice, as he sets off on a quest through the dangerous Urwald, a magical forest full of wizards and were-creatures, and discovers that it is more complex than he could imagine, and that it needs him more than he could ever guess. This story is magical. I am so glad that this book is the first in a series because as I got further and further along I was really worried that I wouldn’t get to continue on and learn more about Jinx’s life. The Urwald is perfect. Simon is the perfect differentiation from Jinx’s stepparents. Jinx is refreshing and unique without shoving anything in your face. The characters are gripping, the plot is intriguing, and I found myself less and less willing to set the book aside. I definitely think this book is along the lines of Howl’s Moving Castle but this book has such unique qualities that it’s hard to compare it to anything. The magic seen is new, refreshing, and interesting. Everything you thought you might have known about magic and magical creatures might be right, or it might be turned on its head, depending on the person. There are great morals, and it’s overall an amazing book. Sage Blackwood was born in Chicago and grew up in New York State. She graduated from Antioch College and the University at Albany, and taught ESL for many years. 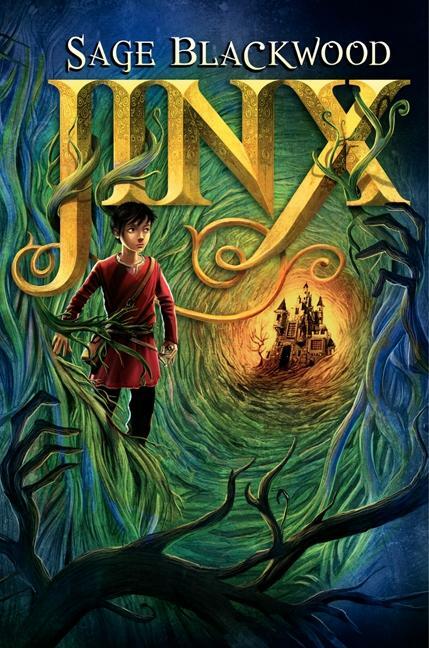 Her first fantasy novel, JINX, was selected as a Best Book of 2013 by Kirkus, Booklist, School Library Journal, and Amazon.